The State of Connecticut has implemented sweeping and confiscatory gun laws that violate the Constitutional rights of its citizens. It's time for Connecticut to FIGHT BACK. Proudly show your support for the Second Amendment and American Liberty with FIGHT BACK Connecticut rebellion ware! 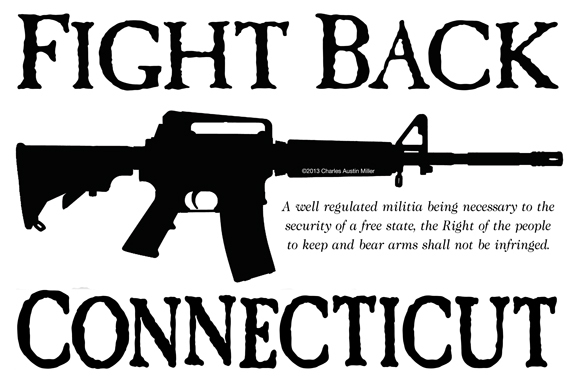 FIGHT BACK CONNECTICUT t-shirts, mugs, and rebellion wares!